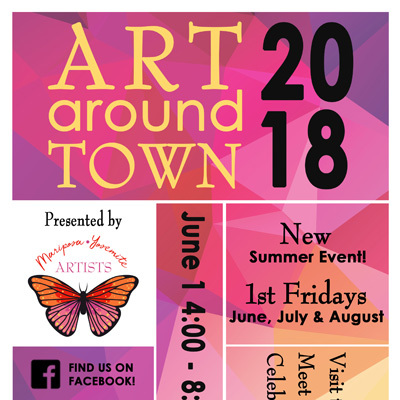 Art Around Town, presented by Mariposa Yosemite Artists, was held on the first Friday of June, July and August. Scheduled from 4:00 to 8:00 pm, tourists and locals visited the shops, met local Mariposa artists and celebrated the arts! Due to the success of our summer Art Around Town, MYA will be expanding Art Around Town to a year-long event. Art Around Town will be relaunched in November! Stay tuned!